Binary options continue to make its way into the mainstream electronic trading arena via strategic alliances between binary options platform providers and established FX brokers. Today, Alpari is the latest to add binary options to its offering by way of a partnership with Binary Products Limited. The partnership takes the form of an agent agreement with Binary Products Limited which will allow Alpari traders to predict the price movement of popular currency pairs and spot metals via the MarketsPulse trading platform. 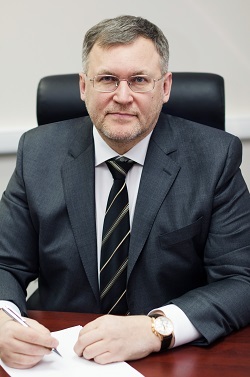 “The widening of our product lineup is a significant event not only for Alpari, but for the market as a whole” stated Alpari CEO Boris Shilov today on behalf of the firm. “Our persistent efforts to improve our trading terms and the continual expansion of our lineup of products and services are key to our company’s lasting success. The first half of 2013 provided no exception to this trend of sustained growth: Our trading volume in Russia and the countries of the CIS was up 67%, in excess of $788 billion, and the number of accounts at Alpari was nearing 1 million” stated Mr. Shilov. In terms of the provision of binary options, contracts with expiration ranging from 3 minutes to 1 hour will be available to trade in the new OptionTrader platform, and Alpari clients will have the opportunity to open accounts denominated in US dollars and euros. Alpari believes that there is a lot of potential for binary options in Russia in the CIS region. In the UK, the firm has taken a different approach insofar as that it offers binary options trading via the SpotOption platform, further highlighting the independent means by which each of the Alpari business units operate. Alpari clients trading a standard MetaTrader 4 account will also gain access to CFDs (Contracts For Difference) on commodities, indexes, ETFs (Exchange-Traded Funds) and stocks listed on NASDAQ and the New York Stock Exchange. CFDs will give Alpari clients the capability to capitalize on rising as well as falling prices in these markets. In addition, to the offering of binary options, Alpari has also launched a trading account for beginners, under the designation of the nano.mt4 account. This new account type gives traders the opportunity to trade with real money, but on a much smaller scale – the amount of funds required to open a position on a nano.mt4 account is 100 times less than with traditional trading accounts. This will allow novice traders to get a feel for the psychological aspect of trading with real money, something that a demo account can’t do. There is also no minimum deposit on these new accounts, which are denominated in “US cents” and “Euro cents”. Seems that russia and the uk are on diverging paths! Will be interesting to see who gets the most traction and what the fallout will be ?! ?